X-ray astronomy is used to detect and study astronomical objects and the Sun provides us with plenty of such data as we try and learn more about it. 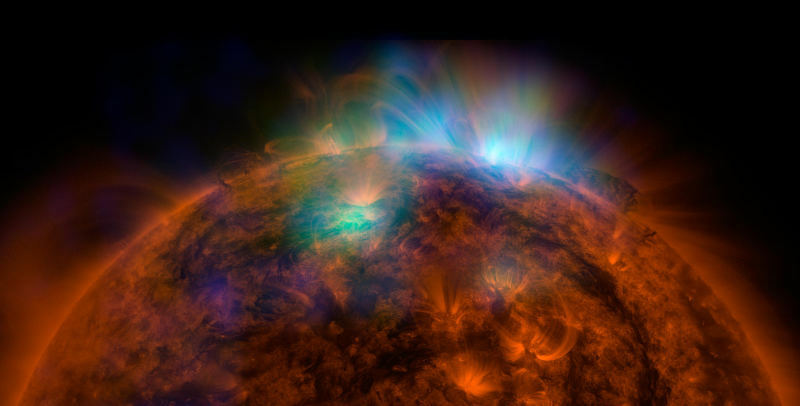 NASA’s Nuclear Spectroscopic Telescope Array (NuSTAR) and Solar Dynamics Observatory (SDO) provided data which was combined to form this picture of high energy x-rays streaming off the Sun. The high energy emissions, shown in blue (3 to 5 kilo-electron volts) and green (2 to 3 kilo-electron volts) are from NuSTAR’s data and come from gases that may be heated to over 3 million degrees. 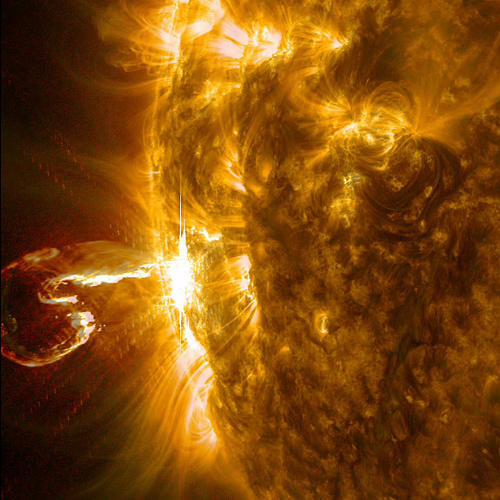 The SDO data in this composite image is the areas in red which consists of ultraviolet light at 171 angstrom wavelength. 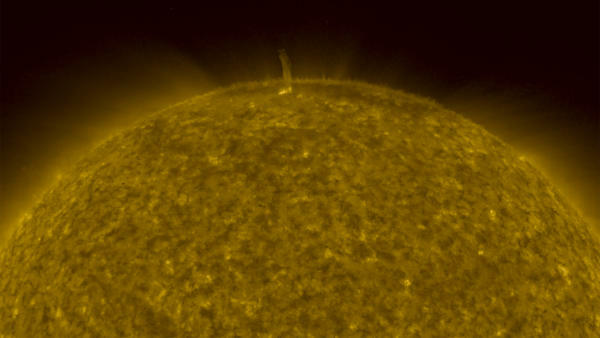 Recent missions by NASA have provided us with brand new and unique views of the Sun. 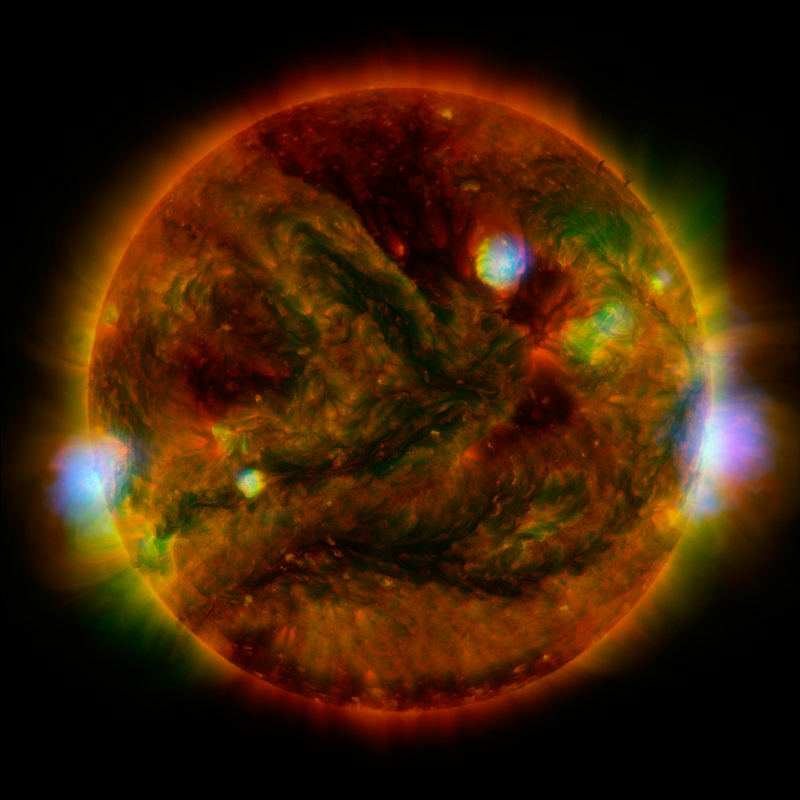 These three dimensional views of structures in the Sun’s atmosphere have resulted in an increased understanding of solar physics and better space weather forecasting. The above picture is the “virtual left eye” image of the Sun’s north pole; taken by SECCHI Extreme UltraViolet Imager (EUVI) mounted on the STEREO-B spacecraft. STEREO-B is located behind the Earth and follows it in orbit around the Sun while STEREO-A is ahead of the Earth, leading it around the Sun. The EUVI imager is sensitive to wavelengths of light in the extreme ultraviolet portion of the spectrum (including bands at wavelengths of 304, 171 and 195 Angstroms).